This event is going to be full of fun, excitement, and entertainment with Nick & Lari D'Cuple, and Chloe "Bone" Cicconi! All that is required is a $10 donation, which includes your book of 6 games with 3 cards per game, total of 18 games! If you would like to have an addional book of games, all that is required is a $10 donation. Great food, drinks, and prizes, so please come on out and support your local charity. This event will be supporitng Cape Youth Football Association! 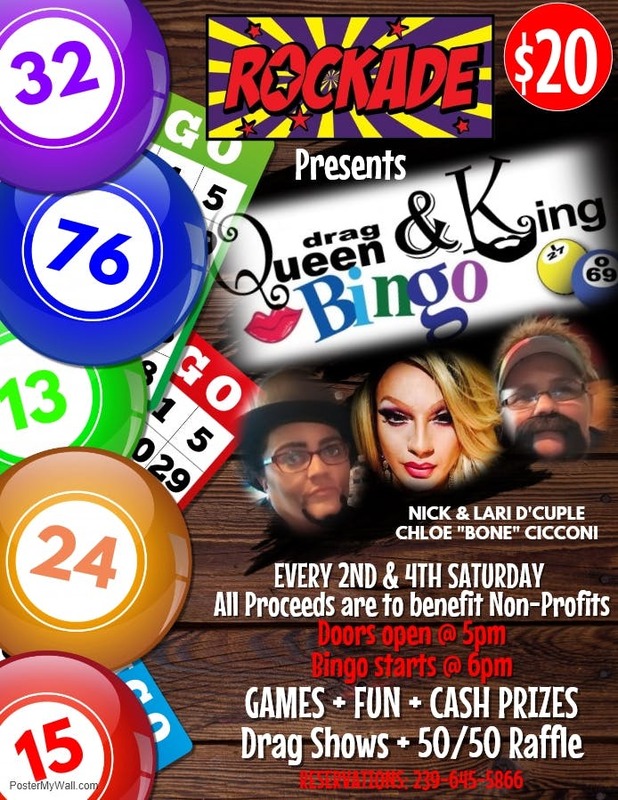 So please, come on out and support your LGBT community through Drag Queen & Drag King Bingo!